identify and describe the works or building to which the application relates. identify the nature and extent of the proposed use and, where appropriate, of the existing use of the building concerned. Each application form must be accompanied by the fee. Please note that each building requires a separate form and fee. The extent to which plans, details and specifications will be required to establish compliance with the Building Regulations will vary in individual cases depending on the type, size and complexity of the building concerned. The information below can be used as a guideline. Where relevant, all plans and information listed below should be supplied. A fully comprehensive report denoted to correspond with Technical Guidance Document, clause numbers (submitted in duplicate) to the department. 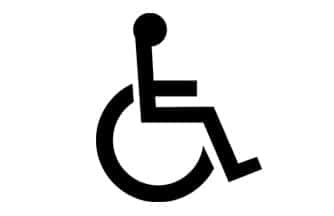 Application is hereby made under Part IIIB of the Building Control Regulations, 1997 to 2009 for a Disability Access Certificate in respect of the works or Building to which the accompanying plans, calculations and specifications apply. 7. Has planning permission been applied for and granted for works or building? This Application Form must be accompanied by a complete and certified set of drawings for the works or building.